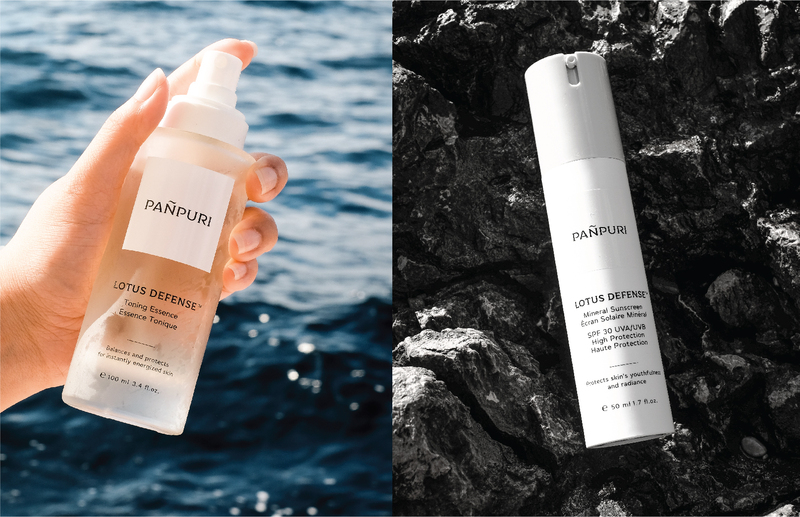 PAÑPURI, Clean Beauty collection LOTUS DEFENSETM is formulated with natural and organic ingredients such as extract from Nelumbo Nucifera, a flower which can protect itself from irritants and is filled with antioxidants, linoleic acid, vitamins and proteins. Dandelion,lupin, red algae and cactus extracts work in unison to offer deep hydration and nourishment, giving the skin a youthful look. The formula is free from harmful or irritating ingredients under the brand’s patented ZeroList™ which consists of more than 2,300 questionable ingredients which might not be safe for you and the environment. This summer, PAÑPURI introduces three easy steps to achieve radiant skin. Glycofilm blocks dirt and pollution particles, while Vitamin P stimulates micro-circulation, lessens dullness and minimizes signs of fatigue. It protects the skin from UV rays and free radicals. Water-binding Cactus stem and Sacred Lotus extracts keep skin hydrated and softer. Dandelion reduces skin cell oxidation caused by pollutants and Red Algae extracts enhance skin's barrier function while improving overall complexion. The skin feels silky-smooth with a unique eco-friendly mineral formula that is non-oily, non-sticky, fast-absorbing and residue-free. Brightening Serum, which received the BEST PREMIUM SKINCARE Award from PURE BEAUTY AWARDS 2018. Sacred Lotus extracts enhance skin's natural radiance and healthy complexion. Red Algae and Arbutin minimize hyperpigmentation, dark spots and uneven tone to unveil glowing skin for this summer. 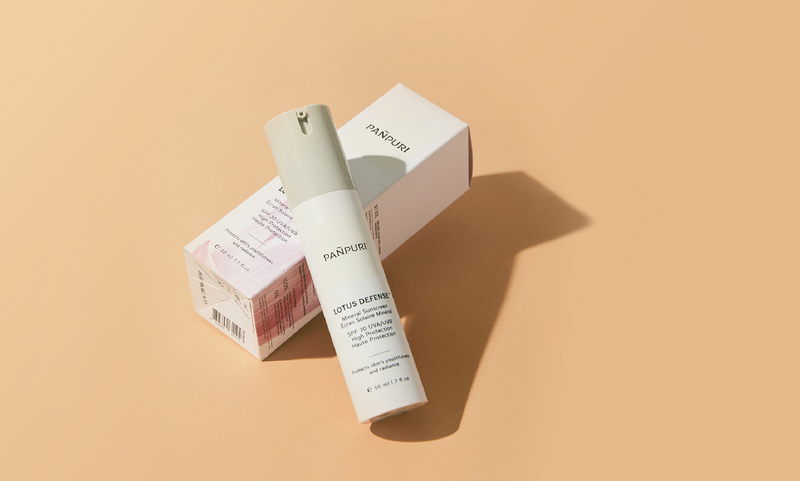 Strengthen skin's natural barrier with reparative Hyaluron, antioxidant-rich Dandelion to keep the skin youthful and firm. 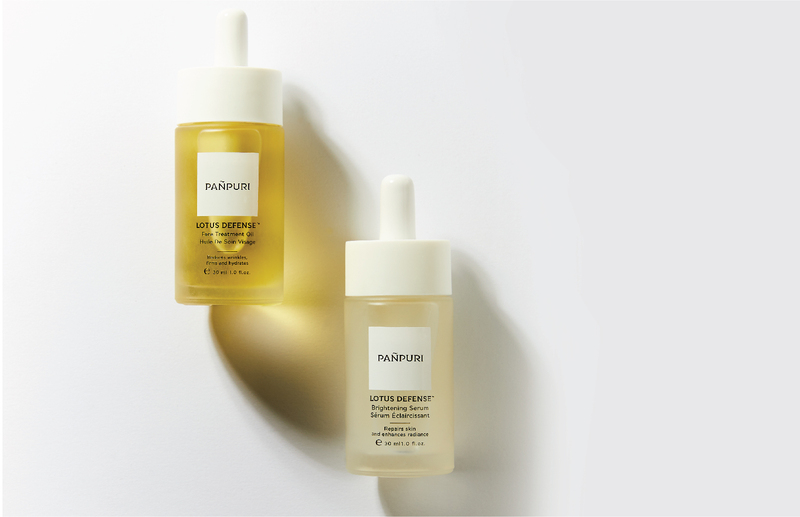 Face Treatment Oil, a facial treatment oil which diminishes dry patches, wrinkles, signs of fatigue and aging, with skin-firming and hydrating White Lupin seed extracts, while restorative Sacred Lotus refines and renews complexion. Experience revitalized, luminous, silky-soft skin with five of nature's most powerful oils: Organic Olive, Organic Jojoba, Marula, Borage and Rice Bran, which re-balance skin's moisture levels without the feeling of greasiness or stickiness. Sacred Lotus and Dandelion extracts leave skin moisturized, suppler and soft by morning. Arbutin and Red Algae boost radiance and correct uneven skin tone and dark spots. The clay texture feels soft on the skin and removes impurities to reveal brighter skin. ​ Based on an independent clinical study conducted by Spincontrol Asia (France) on 20 participants, 100% showed a significant improvement in skin transparency. 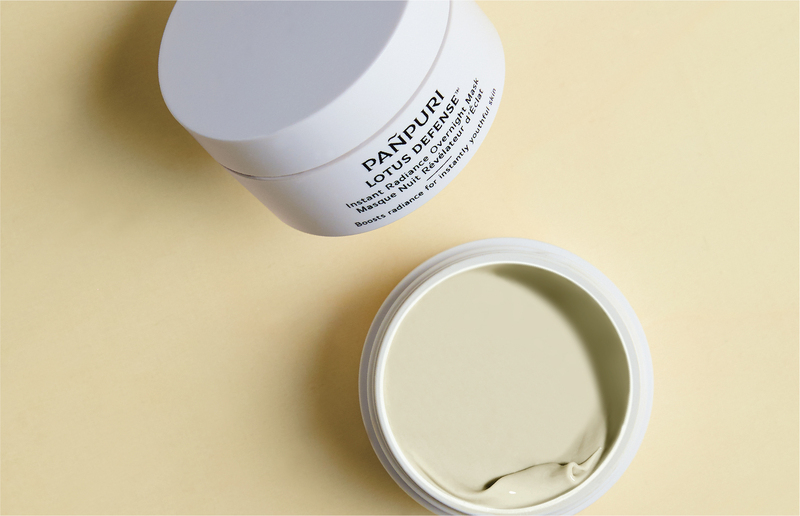 Experience Clean Beauty and get glowing this summer at PAÑPURI shops or find out more on www.panpuri.com Follow PAÑPURI on Facebook, Twitter, [email protected], Instagram and Weibo at @panpuriofficial.